To say I have a sweet tooth would be a gross understatement — I have a sweet-every-bone-in-my-body, especially if those sweets are cold and dairy-based. But while ice cream may be one of life’s greatest joys, it can also be calorically dense, loaded with added sugars, and high in saturated fat. If you’re craving a creamy frozen treat but don’t want all that other nonsense, these brands offer pints with fewer calories and less added sugar — along with some dairy-free and gluten-free options. (But watch your portions, just as you would with regular ice cream — the calories and sugar can still add up quickly.) Here are a few of our favorites. Halo Top has perfected the art of tasty, reduced-sugar treats. 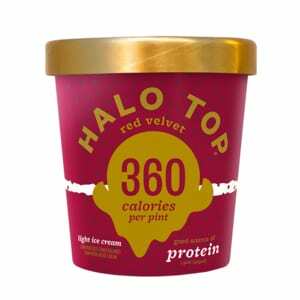 Sweetened with erythritol (a sugar alcohol) and stevia, Halo Top ice cream tops out at 90 calories per half-cup serving. And their vast array of creative flavors — like Red Velvet, Pancakes & Waffles, and Mochi Green Tea — includes plenty of gluten-free and dairy-free options. 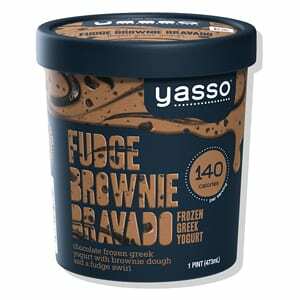 Yasso knows how to make a bomb dot com dessert — their frozen Greek yogurt comes in yummy flavors like Fudge Brownie Bravado, Loco Coco Caramel, and Caramel Pretzelmania. A half-cup serving contains about 150 calories and 6 grams of protein, along with helpful probiotics and no artificial flavors. When I die, bury me between two Skinny Cow chocolate wafer cookies. 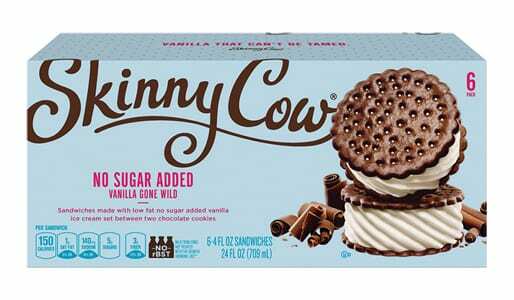 The Skinny Cow No Sugar Added Vanilla Gone Wild ice cream sandwich provides 4 grams of protein and 3 grams of fiber — but only contains 150 calories and 5 grams of sugar, so you can satisfy your cravings without sabotaging your weight-loss goals. 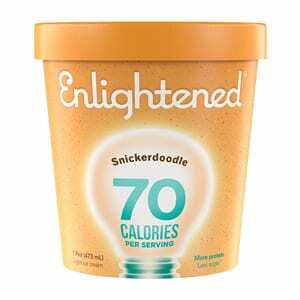 Meditate on this: The reduced-sugar pints from Enlightened come in indulgent flavors like Glazed Donut and Frozen Hot Cocoa, but they’re a good source of protein and their calories per serving are among the lowest of any of the healthier ice cream brands. A half-cup serving of their Snickerdoodle flavor, for example, has only 70 calories and 4 grams of sugar, but offers 4 grams of fiber and 6 grams of protein. If you’re dairy-free, you’re probably already hooked on So Delicious pints — their creamy desserts are made with an almond milk, cashew milk, oat milk, soy milk, or coconut milk base. 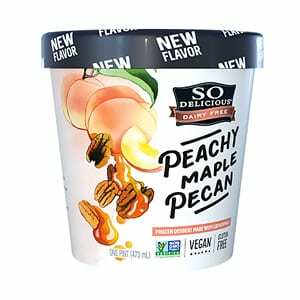 And the crave-worthy flavors — like Peachy Maple Pecan and Chocolate-Drizzled Bananas Foster — are also vegan and non-GMO. Another tasty option for the dairy-free crowd — NadaMoo! ice cream has an ultra-creamy coconut milk base and comes in a variety of fun flavors. 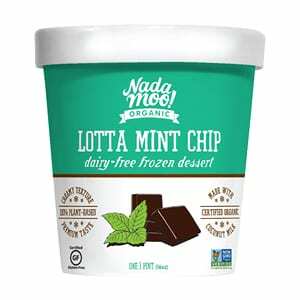 (Their Lotta Mint Chip is on another level of decadence.) It’s also certified organic, non-GMO, vegan, gluten-free, and fair-trade certified. 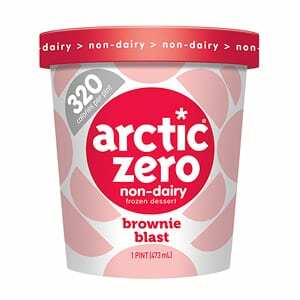 Arctic Zero offers lighter versions of your favorite flavors, like vanilla bean and peanut butter chocolate cookie, along with non-dairy options — like the criminally-good Brownie Blast, with only 80 calories per serving. It’s worth mentioning that the texture is a bit more icy than creamy, but with so few calories, it can do whatever it wants. 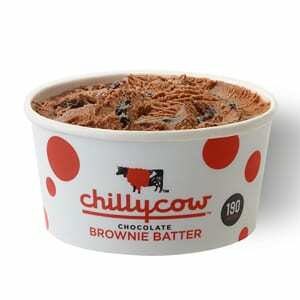 When you’re munching on gobs of brownie swirls, it might be hard to believe Chilly Cow is a healthier ice cream option — but their Chocolate Brownie Batter flavor packs 11 grams of fiber and 12 grams of protein per serving. 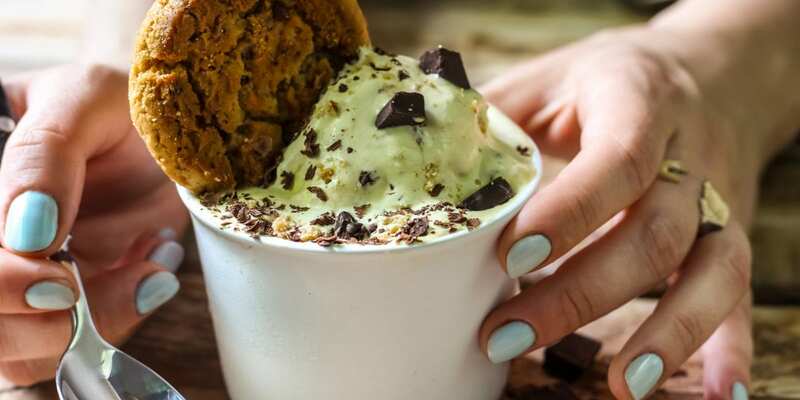 And if willpower goes out the window when you open a pint of ice cream, you’ll appreciate the built-in portion control of their half-pint containers.